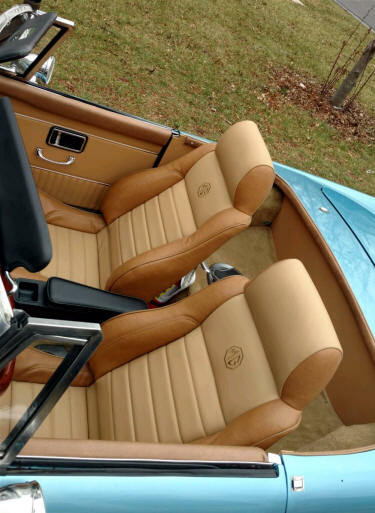 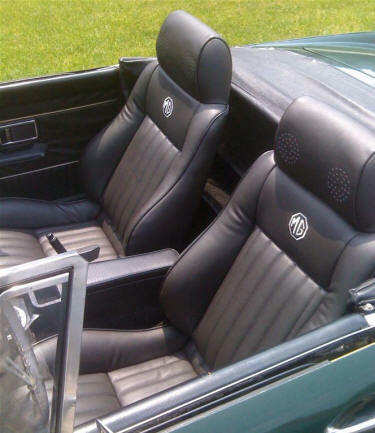 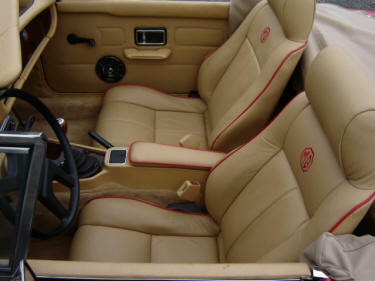 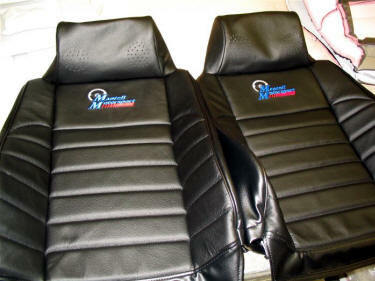 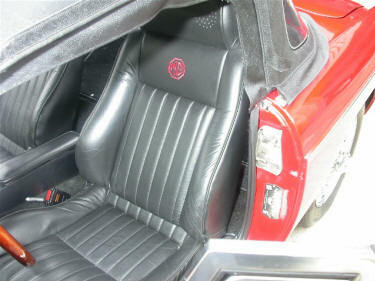 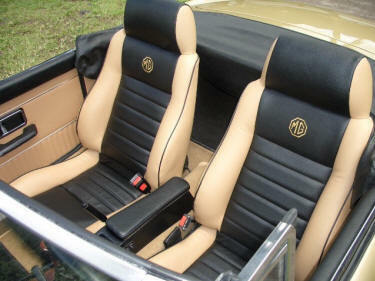 Fiero & Miata seats both fit well in the Mark II MGB. 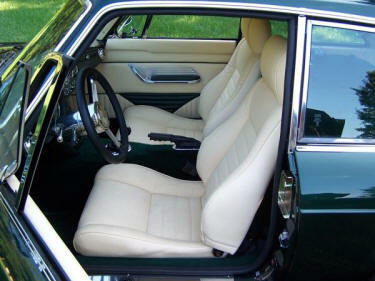 as they are both low and narrow but comfortable for the average person. 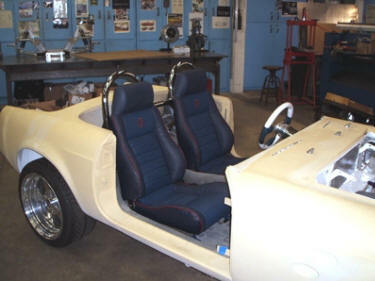 Slight modification of the seat track is required. 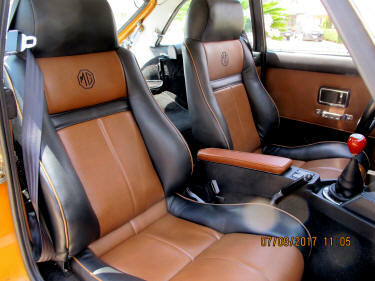 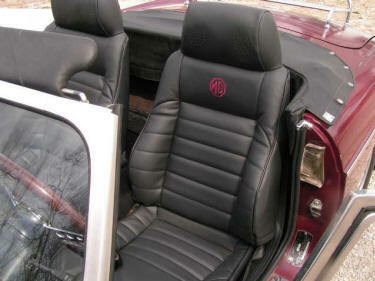 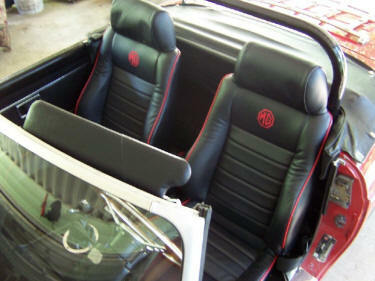 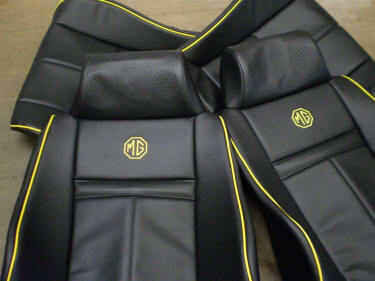 Miata seats fit Better into the Mark I MGB. 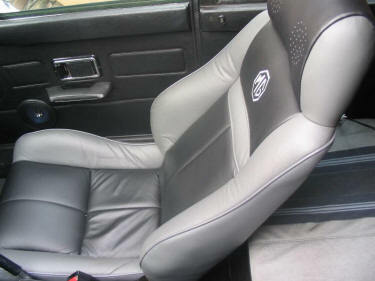 and stop the seat from moving fully forward. 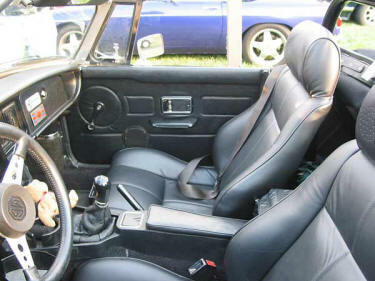 If you are tall this is not an issue. 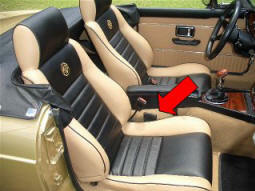 If you are short; you may not be able to fully depress the clutch. 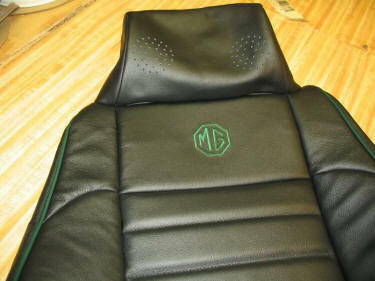 Add MG Logos $29 pr. 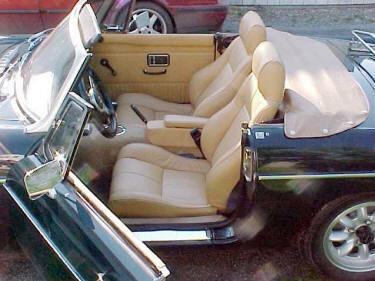 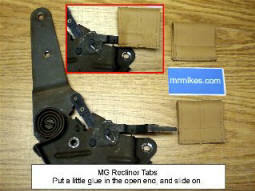 with British Racing Green edge welts. 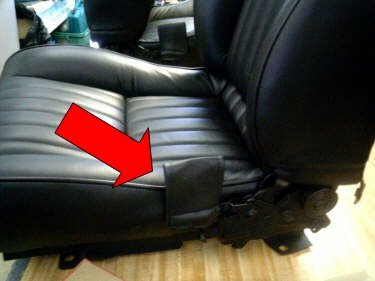 the usual plastic handle of the Fiero recliner mechanism can be difficult to operate when between the seat and driveshaft tunnel.